If you are looking for the truth about the keto diet, you’ve come to the right place. There is nothing worse than those "pie in the sky" diets that claim miraculous results with no work. Let's be real for a few minutes. Keto means meal prep and planning. There is no way around it! The good news here is that there are a few kitchen tools that will make this job much, much easier. In fact, some of them are downright fun! Want to stick to your keto diet with very little hassle? Look at our recommendations for the 10 best kitchen tools that will help you get your meals together in no time flat! 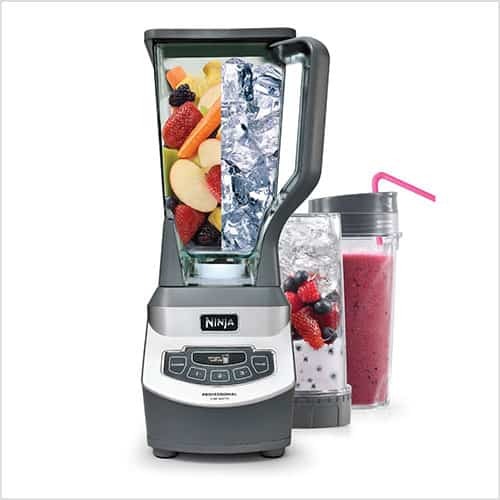 If you think a blender is a blender, then you haven’t seen the Ninja Professional BL610!! More than 1000 watts of power mean that this blender will make smoothies and drinks in seconds, not minutes. The jar is BFA free and is dishwasher safe. There are oodles of recipes online that work perfectly with this blender, including No Bake Keto Cheesecake, Cauliflower Crust Pizza, Coconut Cream Pie Shake, and Cream of Broccoli Soup. This is one of our favorite ways to cook! Have it ready the night before, turn it on when you leave for work, and dinner is waiting for you when you get home! What could be easier?! 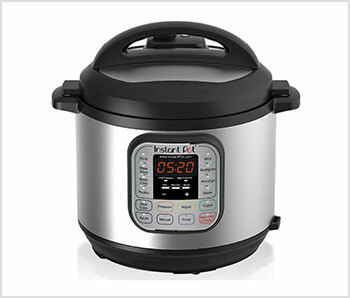 The Instant Pot 7 in 1 Slow Cooker does much more than your mother’s crock pot! 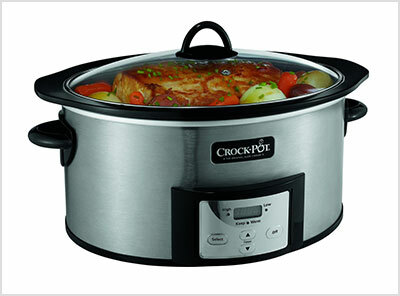 You can use this beauty as a rice cooker, steamer, yogurt maker, pressure cooker, and more! There is a 3, 6 and -quart models available. All sizes come with a stainless steel cooking pot that is removeable for easy clean up. The digital controls with more than a dozen Smart Programs mean that you can time your meal to cook exactly how and when you want it! No more guessing ! The Instant Pot 7 in 1 Slow Cooker is the best invention since…well, since slow cookers were invented! If you only buy one thing for your kitchen, this should be it! Did we mention that there are thousands of keto recipes online? There is a 6 quart and 7-quart model available. Both have a ceramic coated, removable pot for stove top browning and easy clean up. The removable pot is dishwasher safe and comes with a glass lid that locks in place. There are thousands of keto recipes online. Crock pot cooking becomes a habit, so don’t say we didn’t warn you! One of the things you will find yourself doing quite a bit of is chopping food; vegetables, meat, cheese, you name it, we guarantee you will be doing lots and lots of chopping. The Mercer Culinary Millennia Chef’s knife, however, will make this job less of a chore. 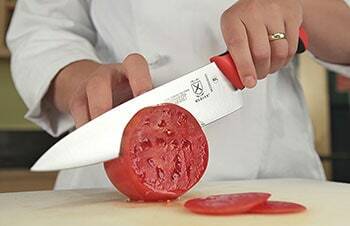 Nothing is more annoying than trying to chop tomatoes or other soft foods with a dull knife. This knife is very reasonably priced and comes in a variety of colors. If you are looking for the top of line knife, you cannot go wrong with the Victorinox Fibro Chef’s Knife. This is a terrific, multipurpose knife designed for those who want the best. This knife has been listed as “highly recommended” for more than 20 years by a leading gourmet consumer magazine. Victorniox is the best-known name in culinary knives and comes with a lifetime warranty. Things have come so far from those chintzy little kitchen scales of the 1980’s. If you are new to the keto diet, you will want to weigh your food until you are better at judging portion sizes. Also, making meals from scratch means measuring foods in proper proportion. 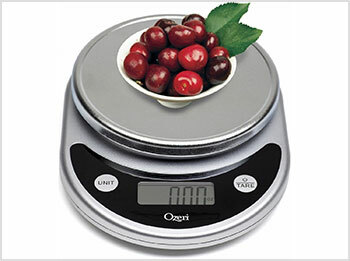 The Ozeri Pronto Digital Multifunction kitchen scale is both pretty and useful. This super accurate scale has a large weighing platform and has an automatic 2 minute shut off to save battery life. When you consider that just a gram or two of carbs can knock you right out of ketosis! Having an accurate scale will help to keep you on track! 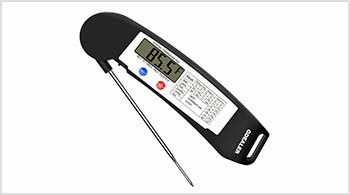 Everyone needs a food thermometer for meat, right? Especially when you are planning on eating a big quantity of it, like you will on the keto diet. But not all thermometers are created equal! The GDEALER Instant Read thermometer has a collapsible probe that tucks away out of sight (and out of fingers) when not in use. It has a large, digital readout and cooking time are listed right on the body, no need to run back inside to check what the package says is the correct temperature. Best of all, this is a deluxe thermometer at a bargain price. Check it out! Let's be honest here; we are betting that your current grease splatter screen came from the 99-cent store, right? The problem with cheap screens is that you get what you pay for; in this case, lots of burns from screens that won’t lay flat. 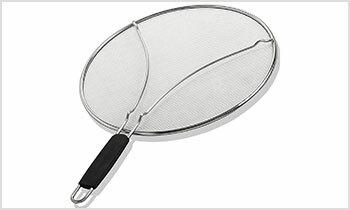 You are going to be cooking a lot meat, so you might as well break down and take a look at the Bergkoch splatter screen. It stops 97% of all oil splatters, which means less clean up and fewer burns. Once you try one of these, you will literally throw all your other screens in the trash! Sometimes called a hand blender, this small blending unit is perfect for a one person serving. If you want to mix up some soup or bone broth in a cup, or perhaps the MCT oil in your cofee but don’t want to bring out your Ninja blender, all you need is a handy little immersion blender. You have probably had one of these in the past and found that those older models burned out in a few months. Hand blenders have really come a long way since then! 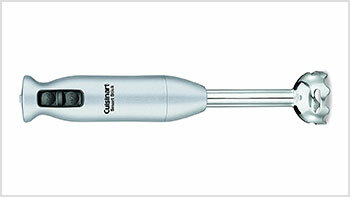 Check out the Cuisinart Smart Stick blender. It has 2 speeds, 200 watts of power and is super durable. Try it out on your next meal and be surprised! Those old fashioned measuring cups your mother gave you when you moved into your first apartment really aren’t going to cut it when you start doing some heavy duty measuring. 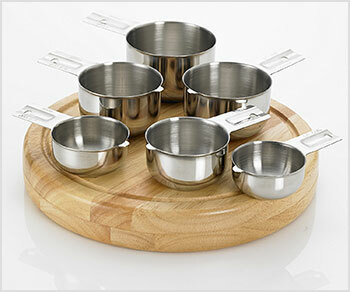 Check out the Bellemain Stainless Steel Measuring cup set. These are perfect for liquids, such as water, coconut oil, and milk. Made from stainless steel, so there is no funny taste and they won’t absorb food colors. 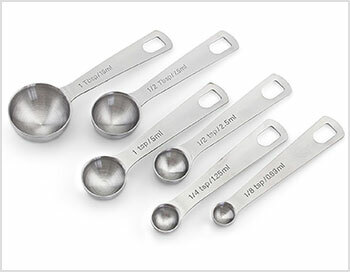 For dry ingredients, you will want a set of measuring spoons. You can’t go wrong with the 1EasyLife brand of stainless steel spoons. These come with a set of 6 spoons, which are perfect for dry ingredients, such as spices, baking powder, or even sweeteners. You will really appreciate these stainless-steel measuring products and we bet you end up passing them on to your children many years from now! There is a good reason that grandma’s cast iron skillet set is so valuable; those well-seasoned pans cook food better than anything else, but that seasoning didn’t happen overnight. 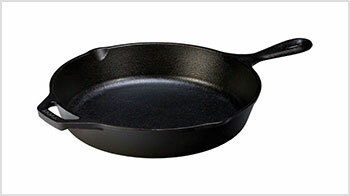 Which is why we are recommending the Lodge cast iron skillet. It comes pre-seasoned, so you don’t have to spend any time trying to season it. This cast iron skillet is just the right tool for baking, roasting, frying, searing and simmering all your favorite keto foods and they last forever! 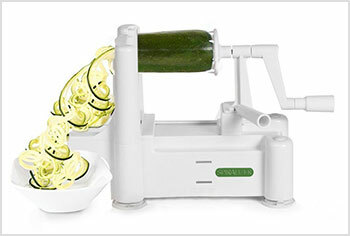 Even if you think you have everything for your kitchen, you are going to want to buy this 5 blade Spiralizer. This one is the strongest, most heavy-duty appliance around. It turns veggies like cauliflower, zucchini, and carrots into “pasta”, by cutting them into thin, spiral shapes. You will find yourself using this product repeatedly, week after week. The keto diet means no pasta, so using this to make “pasta-like” products makes it an essential appliance in your kitchen. You will never be bored with your dinners with this spiralizer in your kitchen.